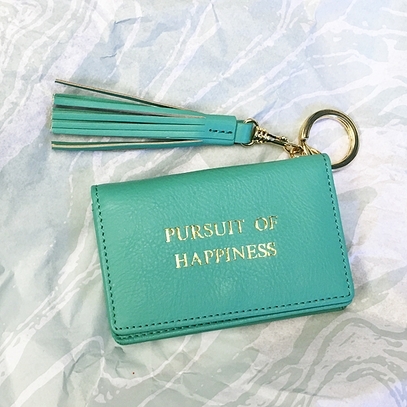 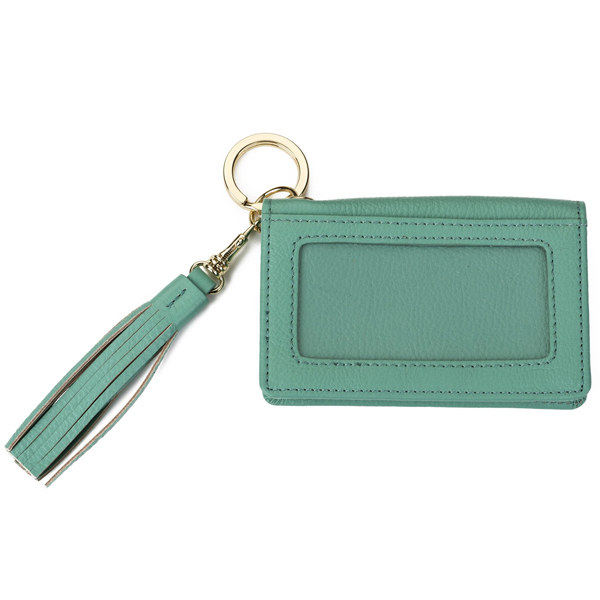 This petite leather keychain wallet is gold foil stamped with “Pursuit of Happiness”. 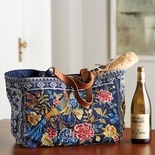 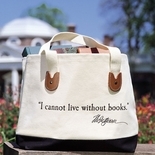 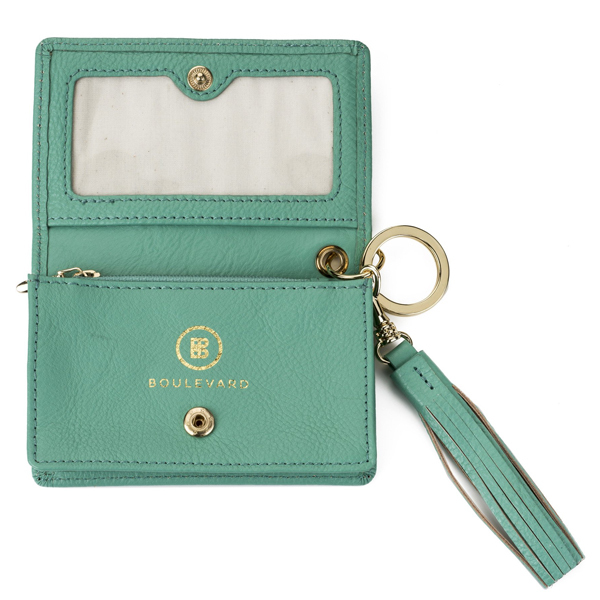 Features both an exterior and interior ID window, key ring, fold-over design with snap closure, interior zippered compartment, and one slim pocket. Removable tassel ornament included. 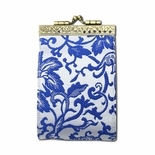 Gold-tone metal hardware. 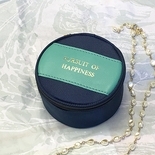 4 ½”l x 2 ¾”h x 1”d.